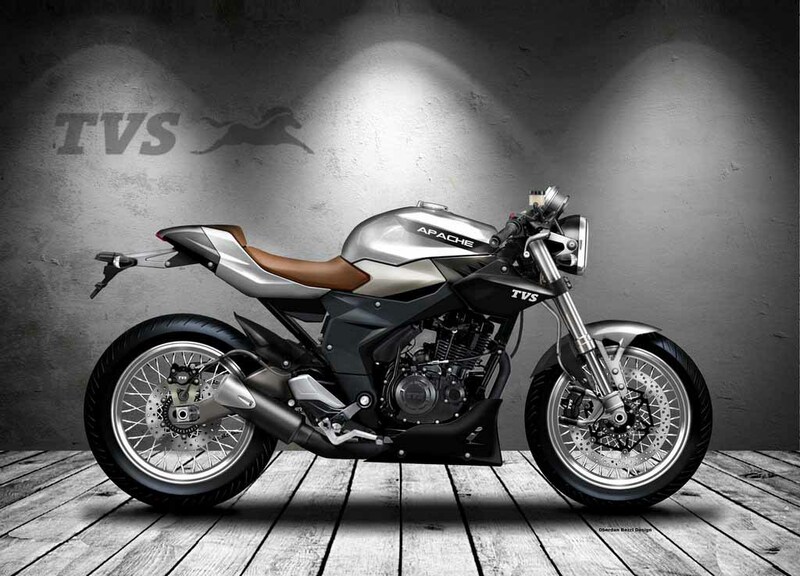 Automotive designer Oberdan Bezzi has imagined a café racer version of the TVS Apache 180 and christened it as the TVS Apache 180 Café Racer. The imaginative rendering shows how the bike can blend power with retro charm and become a very attractive production model. It looks perfectly doable and if TVS considers it for production, there will be many takers for the bike for sure. 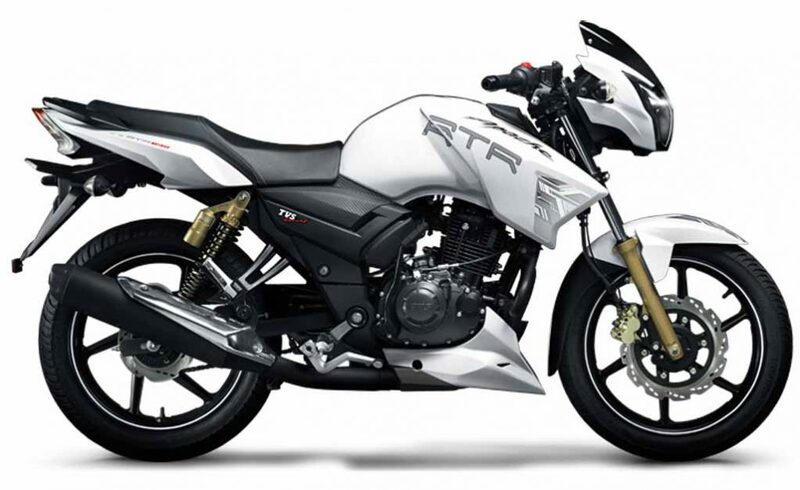 Compared to the TVS Apache RTR 180, the café racer version looks very different. It appears with a round headlamp with chrome bezel around it, sporting an old-school look. The instrument cluster is also different and to enhance the retro feel, it features a twin-pod cluster. The fuel tank is very muscular and sculpted looking. The side panels of the bike give the TVS Apache 180 Café Racer concept make the model bold and muscular looking. The bike comes with a lower positioned rider seat, wrapped in tanned brown leather. The pillion seat is also visible. Apart from that, the bike comes with a sharp and narrowed tail section sporting a sleek LED taillight. The exhaust of the bike has been updated compared to the Apache RTR 180. TVS Motors promotes its Apache range by saying that these model come with pure racing gene. The imaginative rendering of the Apache café racer also shows the bike in same manner. For braking duty, the bike gets disc brakes on both front and rear wheels. Overall, the TVS Apache café racer looks very attractive indeed. 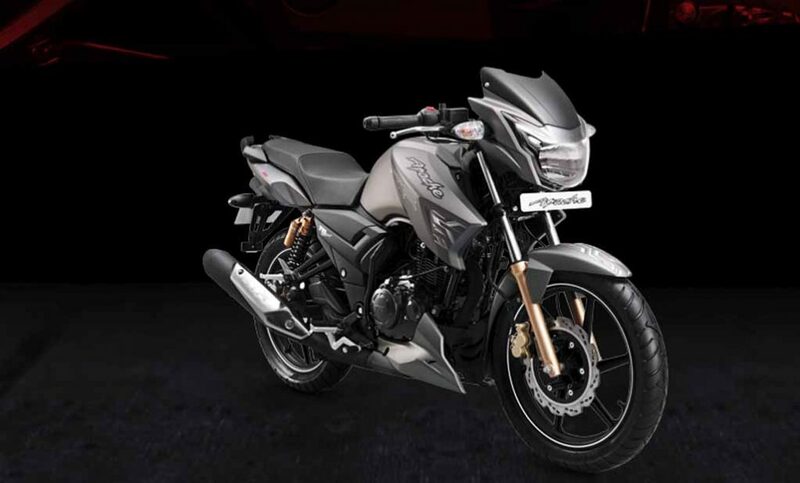 Speaking about the powertrain, the regular TVS Apache RTR 180 is powered by a 177 cc single-cylinder, air-cooled engine mated to a 5-speed gearbox. The engine churns out 17.30 bhp of peak power at 8,500 rpm and 15.50 Nm of peak torque at 6,500 rpm.